Shopify is the best Ecommerce platform, hands down. Read our list of 8 reasons why Shopify is the best ecommerce platform. We love Shopify website design and development. Shopify is the best Ecommerce platform, hands down. You can take us at our word or you can read on to find out why. We aren’t going to compare Shopify to any other online selling platform because this isn’t about a comparison. We’ve provided web design and digital marketing solutions for dozens of clients, who sell all sorts of different products, services, subscriptions, and tickets. What we’ve discovered is that from top-to-bottom, Shopify can do it all. You can sign up for an account, build a quick store, add a product or two, and sell it in a matter of hours. Seriously, we’ve done just that. If you’ve never worked with a content management system or ever sold something on a website before, don’t worry, Shopify makes it easy to get started. Did we mention how easy it is? Yes, we just did. But, we really want to drive that point home. Shopify doesn’t use web developer or complicated language within its interface. Anyone in your business can go from beginner to expert Shopify store manager in a matter of days or weeks and sometimes even hours, depending on your store and needs. Shopify has one of the most extensive and well-organized documentation that can walk you through exactly how to do anything you are looking to do. If you prefer talking to a human, they also offer phone and chat support. Every time we’ve chatted as a Shopify designer and developer, we’ve walked away from the experience feeling like we stayed at a 5-star hotel. If you’re not sure about selling dozens or even hundreds of products online and you just want to start small, no problem. When you’re ready, it’s simple to upload a csv file of your entire inventory. You can even connect to suppliers and inventory warehouses to keep track of stock. If part of your strategy includes content, Shopify has a simple blog feature that can also be developed into a complex blogging system. Shopify’s app store also makes the entire platform flexible and allows for lean development. Shopify’s app store has an app for that. No matter what “that” is. 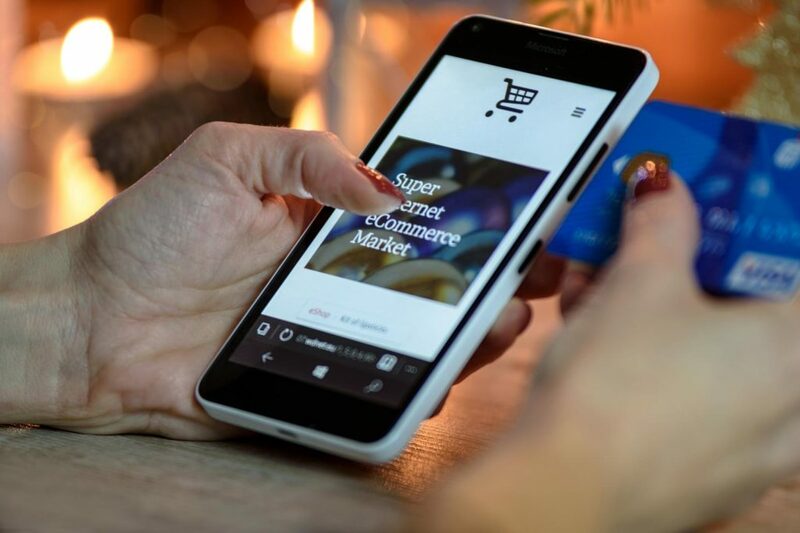 You can turn your Shopify store into a powerhouse by utilizing apps to help with product sourcing, marketing, sales, social media, shipping, inventory, customer service, accounting, tools, reporting, and sales channels. Some apps are free, some are paid. If you’ve got a unique product or service that requires some kind of special development, chances are there is already an app that can meet your needs, developed by someone who has experienced your same problem. You truly can run your business from anywhere in the world when your business is built on Shopify’s platform. Their mobile app makes it easy to get updates on new orders, view and manage orders on the go, see reports, and much more. Shopify starts at just $29/month and that includes everything you need to get started. Shopify credit card payment processing includes a 2.9% + $0.30 per transaction rate, which is the industry standard. If you upgrade to a higher level an account, that rate can go down even further it comes with added benefits like more users, connections to third-party shippers (UPS, Fedex, etc.). Shopify has some of the most strict and curated website themes around. Developers and designers, like us, have to go through an extensive review process and meet numerous requirements in order to even be considered to have their theme in the theme store. There aren’t many free themes, but what they offer is a great start and we’ve turned many free themes into beautiful, custom-looking sites. Many of the paid themes are made for specific industries, which is a great way to get started quickly. Every theme can, and often should be, fully customized to meet your store’s unique needs. What "micro-moments" of interaction on your website can lead to increased leads or sales? We'd like to help you find out.